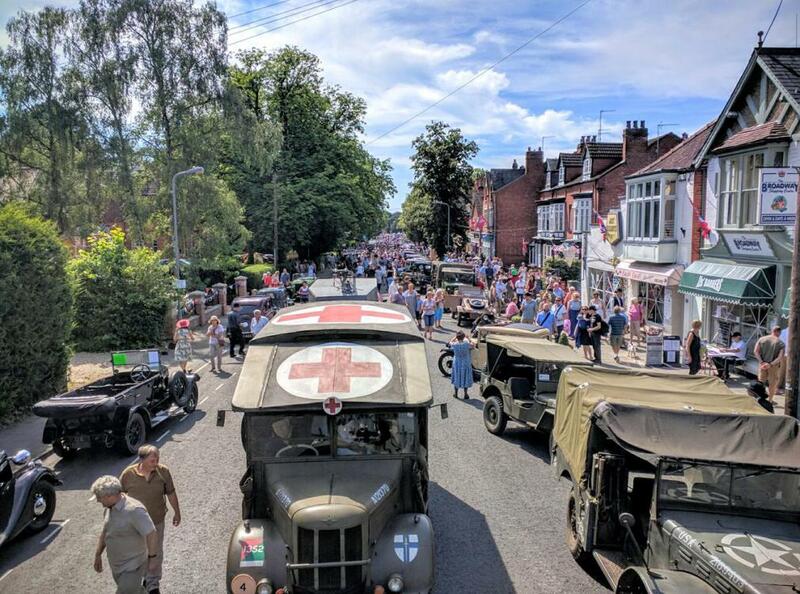 The Woodhall Spa 40’s Festival is free to all and enjoyed by thousands. The only way we can do this is through the generous funding of our allies. We like to tell you who they are and at one and the same time convey our thanks for their support. Look out for the Proud Supporter window stickers. These businesses have supported the Festival so please support them when it comes to teas, coffees, drinks, food, books and so much more! Enjoying a timelessly elegant setting and unique heritage, the Petwood is one of the most memorable places to stay in Lincolnshire. During the War the building was used as the Officers’ Mess of 617 “Dambuster” Squadron. The hotel is surrounded by acres of beautifully landscaped gardens and steeped in British history. Set in the heart of Lincolnshire, the Golf Hotel is only twenty miles from Lincoln itself and adjacent to the world famous Woodhall Spa Golf Course, where Jacklin and Cotton learned their craft. Built in 1880 and set in seven acres of well kept gardens, lawns and woodlands, the hotel is ideally situated for the golf course, village and surrounding tourist sights. During WWII the building was requisitioned by the army and used as the Battalion HQ of the South Staffords who fought at Arnhem. Packed with character and charm, the Inn at Woodhall Spa hotel offers luxury accommodation in central Lincolnshire. This 3-star hotel, located in the East Midlands of England, is a popular tourist destination for visitors looking to experience the outdoors. The building was requisitioned during WWII by the RAF and used as the Officers’ Mess of the renowned 627 (six two seven) Squadron. 627 was commanded by Leonard Cheshire and had a pathfinder operational role. A five star holiday park set in a beautiful area of woodland in the heart of Lincolnshire, within walking distance of the village of Woodhall Spa. Luxury lodges provide a home from home experience, furnished to the highest standard with a fully equipped kitchen, bathroom, en-suite, lounge/diner and private hot tub on a covered verandah. The natural habitat of the park provides an abundance of walks and wildlife, making an ideal destination for a relaxing break, suitable for couples, families, cyclists, walkers, anglers and dog owners. LIKE TO SPONSOR THE FESTIVAL? We have a range of sponsorship packages so with something to suit businesses of any shape or size.